Particle physics – well, not too many people feel it familiar. That is one of the biggest issue for the communication effort of the International Linear Collider. Japanese government has been seriously discussing if Japan should host this huge international science project, setting up the expert panel. The panel pointed out that the ILC should gain public support to get a green sign, given the scale of the project in terms of the size and cost. Matter of course, but this is not as easy. ILC is not even an authorized project yet, and it is a project for the particle physics research, one of the most unfamiliar research fields. 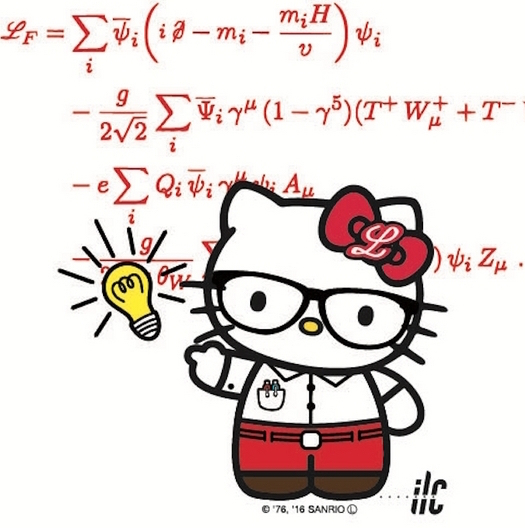 To break the situation, Japan’s Advanced Accelerator Association promoting science and technology (AAA) teamed up with Sanrio to produce “Science X Hello Kitty” for ILC communication. This adorable collaboration is aimed to pick up the interests from the people who don’t have usual contact with science. 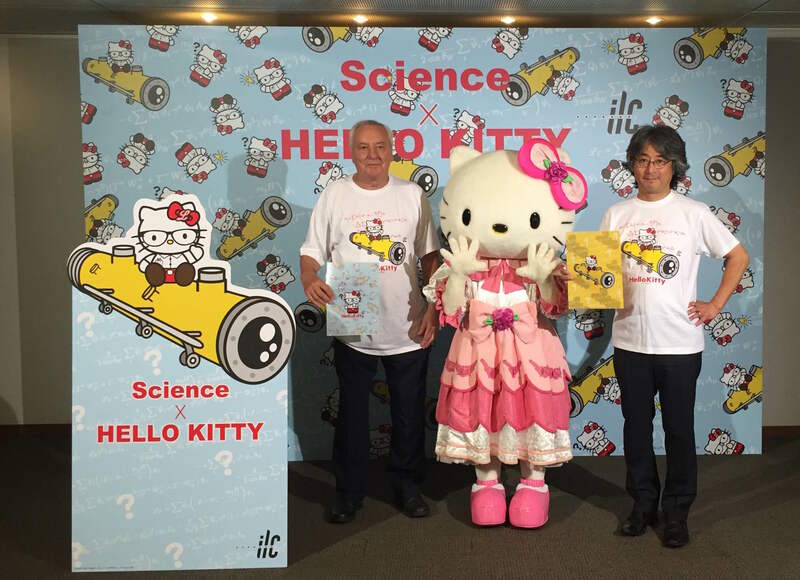 “We are expecting reactions like, ‘who is this Hello Kitty waring pair of glasses?’ or ‘What is this L mark in the middle of Hello Kitty’s bow?” says Hiroyuki Yoshizumi, chair of outreach division at AAA. 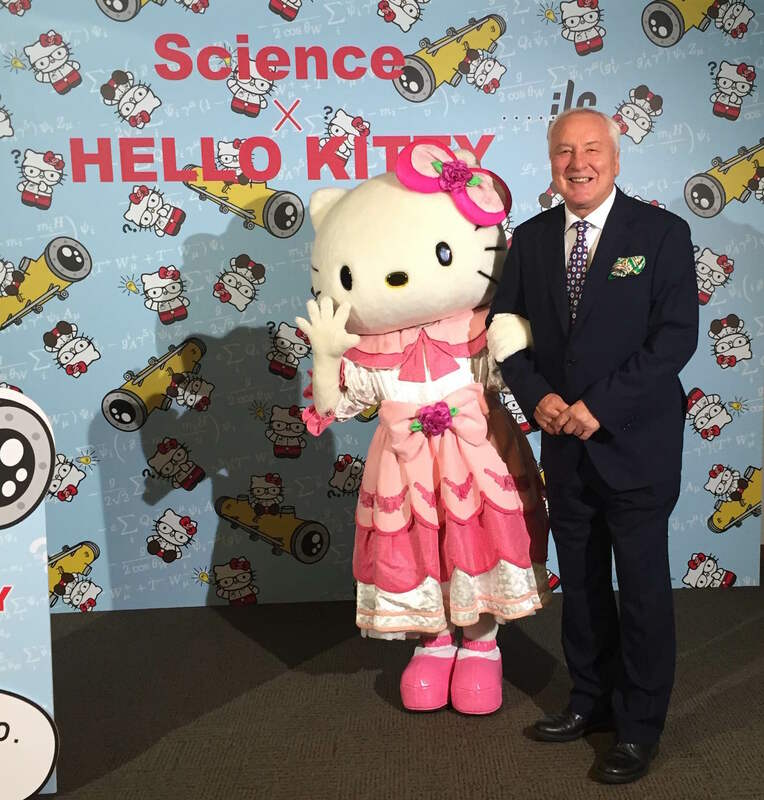 “Hello Kitty will help us to reach audience we never had a chance before,” he said. Their attempt was successful for far. The posts on Facebook and Tweets about Science X Hello Kitty got 10 times more reaches than usual posts. And now, it has reached the Windy City! At the International Conference on High Energy Physics (ICHEP) 2016 in Chicago Clara Nellist, physicist at the Laboratoire de l’Accélérateur Linéaire (LAL Orsay) and part of the ATLAS collaboration, introduced this special outreach opportunity to the high energy physics (HEP) community during a social media panel. The so called “Lunch and Learn” sessions at ICHEP offered interested physicists the possibility to meet and talk to science communicators, people from the media and scientists who are involved in outreach. Various talks and discussion from how to make science fun over what is a great physics story to how to reach people with social media were given. All these sessions involved long Q&As to offer help, advice and experience with outreach for all those who were interested. 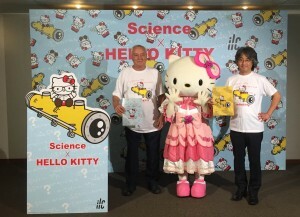 The Hello Kitty meets science outreach was part of Clara Nellist’s presentation on behalf of the ILC outreach. She volunteered to present this unique opportunity to the community and showed various pictures from the official opening ceremony in Japan and from its social media impact. The interest in the audience was high and after the session many attending scientists wanted their own Hello Kitty meets science paper folder. Thanks to the effort of Michael Peskin (SLAC) and Hitoshi Murayama, Deputy Director of the Linear Collider Collaboration, a parcel of these new goodies was brought to the Windy City so that the HEP community could get their hands on them. They received them with excitement. Twitter accounts buzzed and hopefully a number of pictures have been uploaded to Facebook – after all it was the social media session! Our special thanks go to the organizers of this Lunch and Learn Session from University of Chicago and Fermi Accelerator National Laboratory for giving us the opportunity to present this and of course to Clara Nellist! Thank you very much!